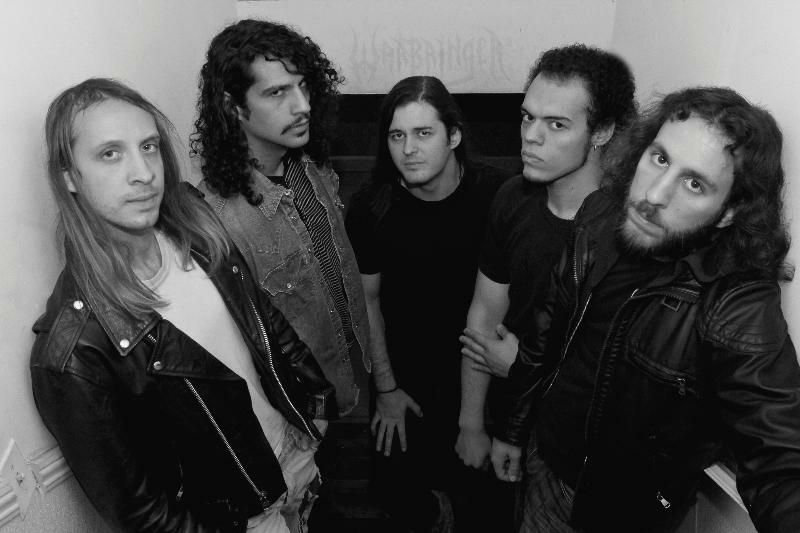 WARBRINGER will release their fourth studio album, IV: Empires Collapse, on October 28th in Europe and October 29th in North America via Century Media Records. IV: Empires Collapse, the studio recording debut for former MANTIC RITUAL members Jeff Potts (Guitar) and Ben Mottsman (Bass) rounding off Warbringer's five-piece lineup, was recorded with producer Steve Evetts (SEPULTURA, THE DILLINGER ESCAPE PLAN, SUICIDE SILENCE), mixed by Brett Eliason (PEARL JAM, HEART) and mastered by Alan Douches / West West Side Music (CANNIBAL CORPSE, HATEBREED, CONVERGE). The album’s cover artwork, which can be seen below, was designed by Adrienne Rozzi.